Not a lot of people know that decks need maintenance every season for specific reasons, but we’re here to give you a run-down on the most important steps. It’s that time of year again: colder weather is creeping in, and soon, we’ll be in the midst of fall. But before that time gets here, you should be aware that maintaining your deck during this weather is incredibly important. Not a lot of people know that decks need maintenance every season for specific reasons, but we’re here to give you a run-down on the most important steps. 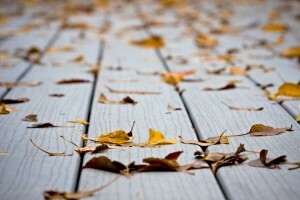 Read on to find out how to care for your deck during the autumn chill. The first step is to conduct a quick inspection for any defects or damage that has been taken during the summer. Consider water damage, wind damage, and possible defects caused by animals. Keep an eye out for piles of wooden pellets, which could indicate that you have termites. This damage is important and needs to be caught early; if you don’t do this inspection and you miss something, ice and snow can make it that much worse. 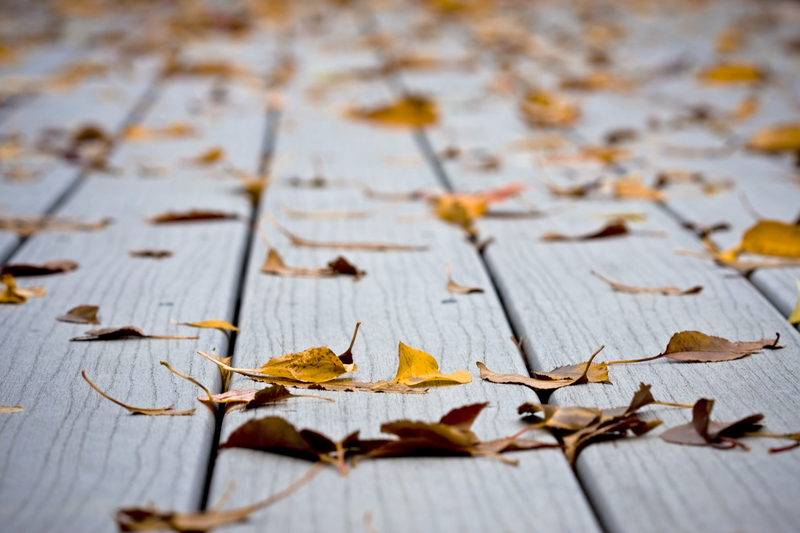 When the leaves start to fall from the trees, make sure you’re keeping your deck clear, especially if your deck is made of wood. Leaves left in the same spot for a while will rot and cause your deck a plethora of problems, including mold and moss growth. We know it’s tedious, but keeping on top of your leaf removal is good for your deck and landscape. Is your deck close to an outdoor faucet? Does your gutter empty near your deck’s foundation? Be wary of this. When water collects, it freezes, and this can cause serious damage for your deck. Ice damage is notorious for creating cracks, and you certainly don’t want to be investing in a deck replacement if you don’t have to. It’s not too late to start working on your new deck with Mid Atlantic Deck & Fence!